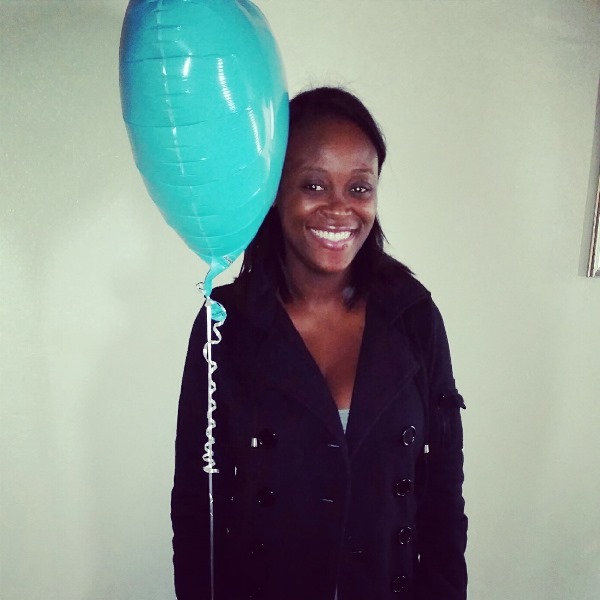 This month’s Project Leader Spotlight belongs to volunteer extraordinaire Crystal Hayes. 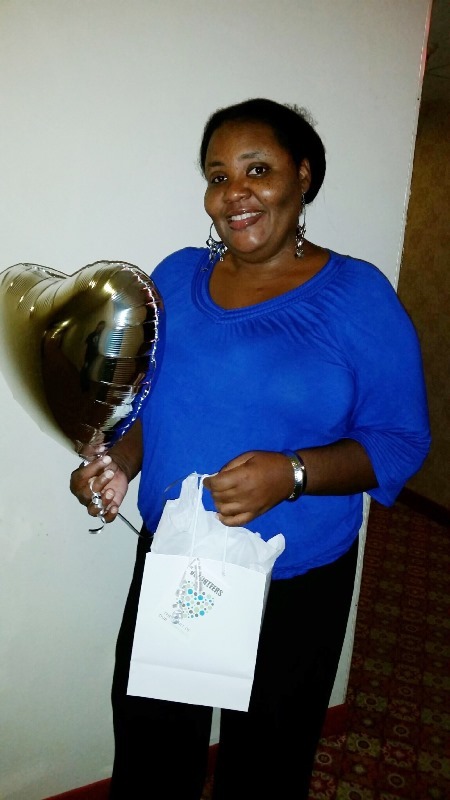 Crystal first began volunteering with HandsOn Broward back in 2008, and got more actively involved in 2014. Last June, she completed the Project Leader Training. Crystal wanted to take a more active role in volunteering because giving back to her community has always been something she values. “Being raised with a humble awareness and the emphasis on giving back in different ways, I maintained the idea as an adult and encourage others to do the same,” Crystal said. 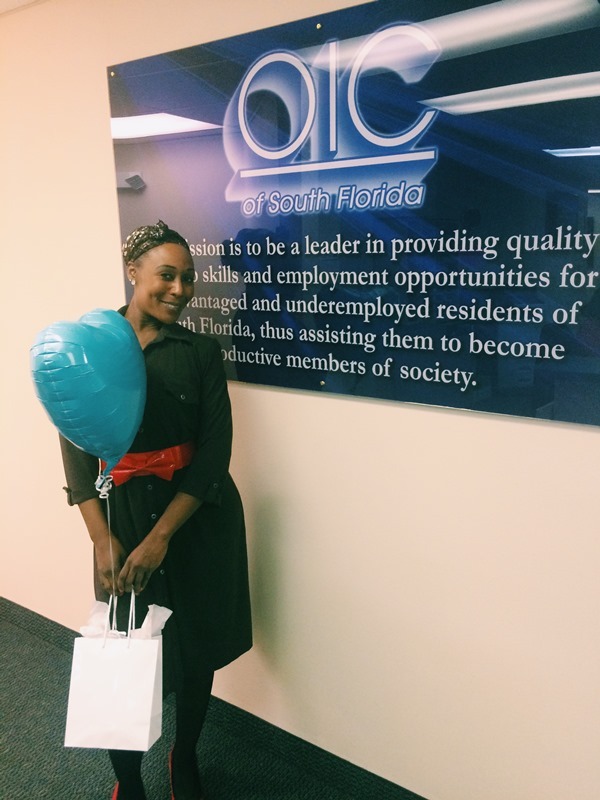 Crystal served as a Project Leader back in August at CSC’s Back to School Community Extravaganza. Her positive attitude and warm smile encouraged volunteers to maintain an optimistic outlook during a long day of service. 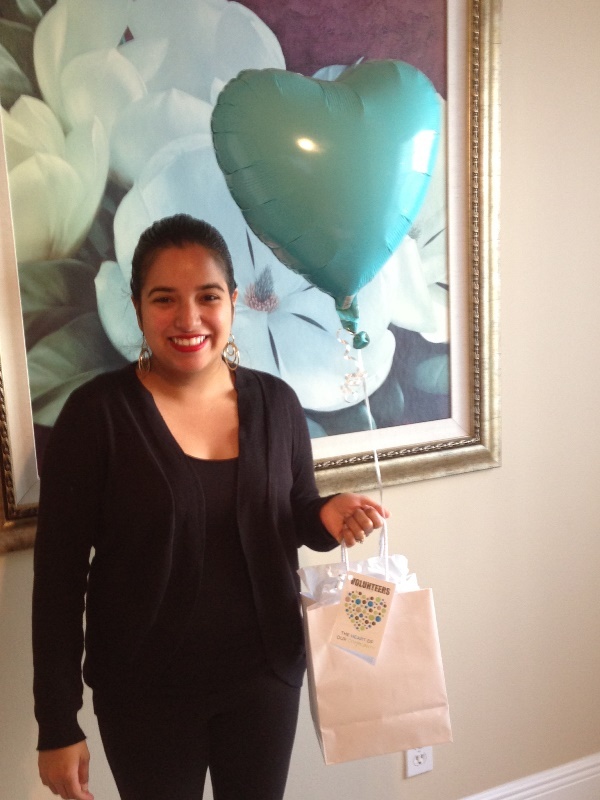 “After witnessing the clarity and the passion of the staff at HandsOn Broward, the choice to take the next step to lead included the increased level of appreciation to the volunteer agency, HandsOn Broward, the smiles and laughter of families being served during these events, and the drive to become a better leader in the process,” she said. You are the change, Crystal! A sincere thank you for all that you do for HandsOn Broward, the Miramar Community Garden, and Broward County. Interested in participating in the monthly Miramar Community Garden project with Crystal? Click here to sign up. 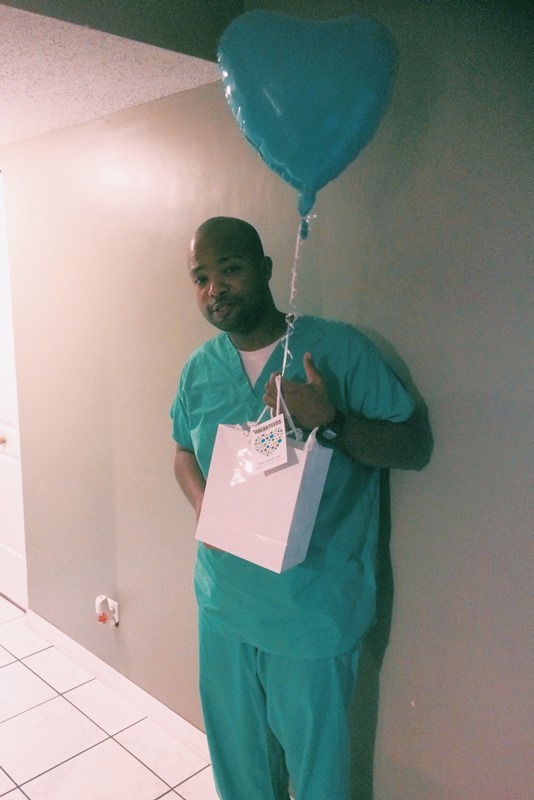 Some well-deserving Broward County individuals received a surprise delivery last week from staff members of the local nonprofit, HandsOn Broward. 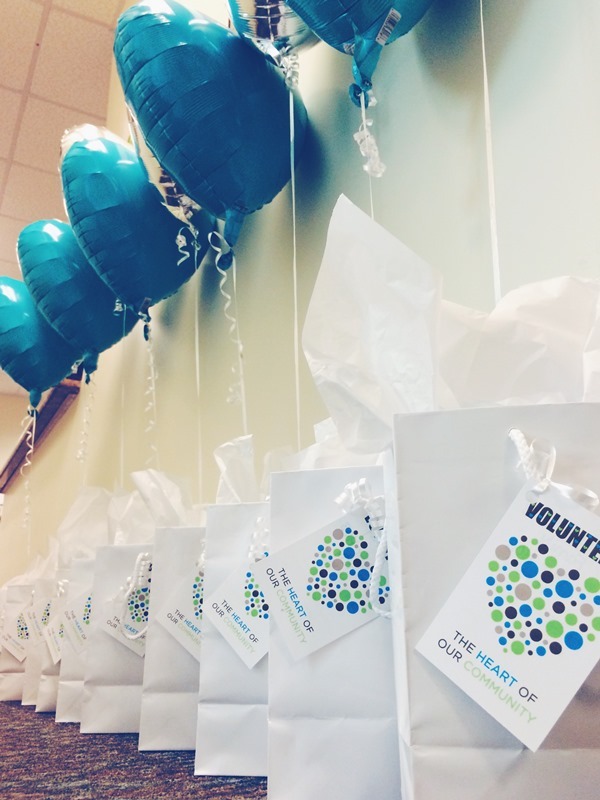 With balloons, candy and other goodies in hand, the staff members visited the homes, offices and nonprofit service sites of several of its most dedicated volunteers. 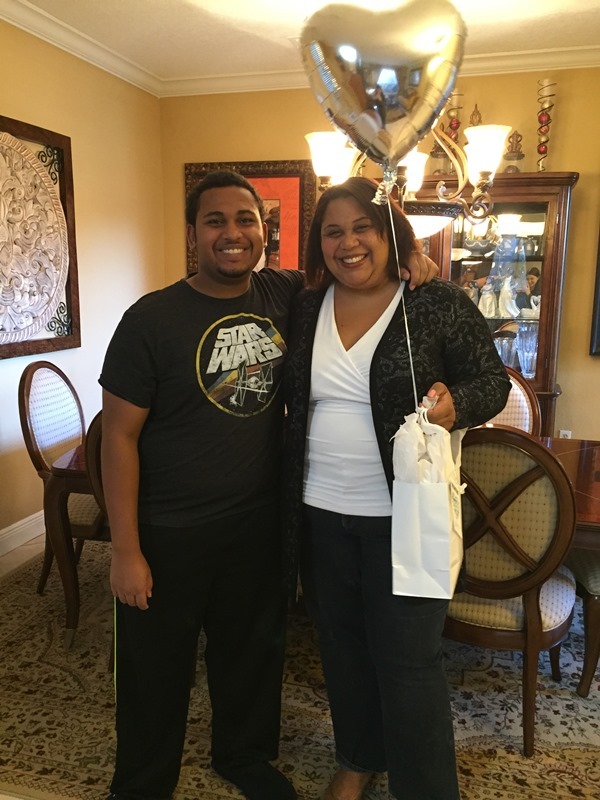 The organization, which works to mobilize volunteers in service activities that effect positive change in local communities, kicked off their day of thanks in Miramar, where they surprised a family of dedicated volunteers. The Harrilal Family – Paula, Charles and Justis – participate in and help lead a variety of projects with ‪HandsOn Broward. Justis is the founder of ‪‎Team Justis, a group of volunteers who provide support to nonprofit agencies that focus on the food insecure and homeless in Broward. The show of appreciation continued from Sunrise to Fort Lauderdale as deliveries were made to twelve more volunteers who have spent countless hours providing support to projects that help strengthen communities and build the capacity of local nonprofits to provide services. Volunteers included Semithe Chevelon of Lauderdale Lakes, Janet and Shayla Rooks of Lauderhill, Crystal Hayes of Hollywood, Benjamin Benson of Sunrise, Suray Perez of Pembroke Pines, Tomas Leon of ARC Broward in Fort Lauderdale, Petrina Smith of Lauderhill and The Howard Family – Tim, Patty, Jonathan and Sydney – of Plantation. Powered by Children’s Services Council of Broward County, HandsOn Broward provides year-round opportunities for individuals and families to volunteer in Broward. The organization also provides direct service programming in the areas of economic development, youth leadership, urban gardening, disaster preparedness and response and nonprofit capacity building. 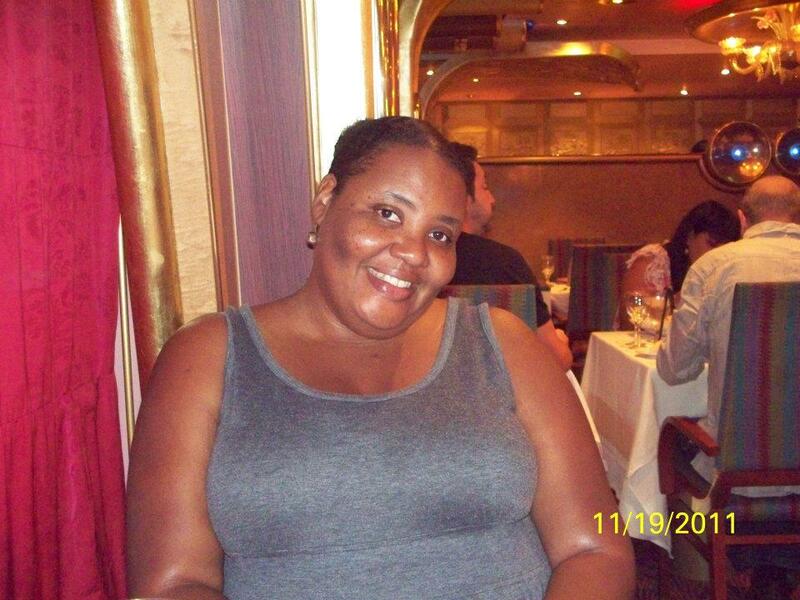 Our February Volunteer Spotlight belongs to Petrina Smith. 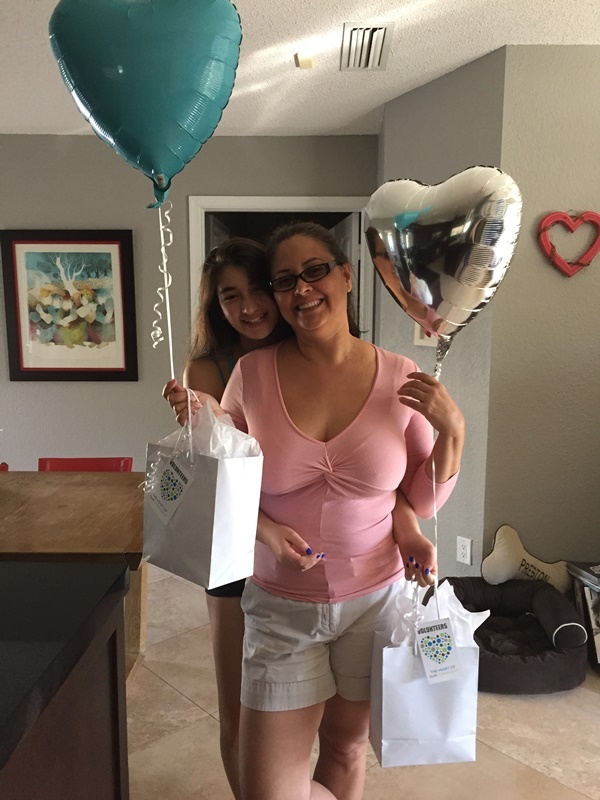 Petrina became a HandsOn Broward volunteer in August 2014, and since then has already completed 223 hours of service and counting. 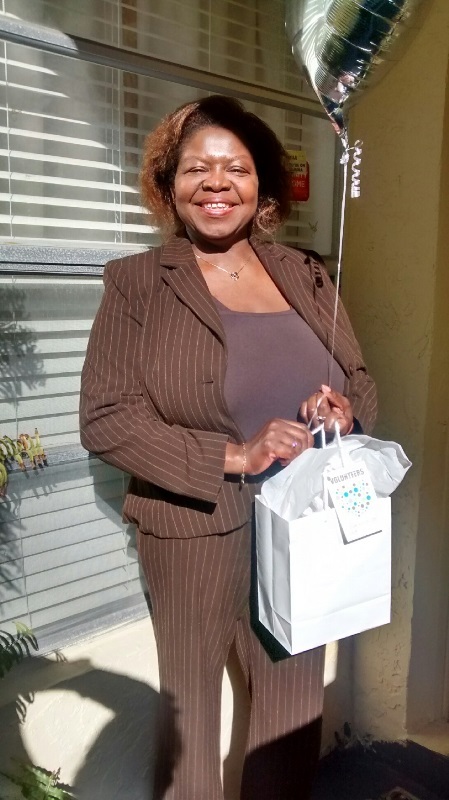 “I heard about HandsOn Broward by looking online for opportunities to volunteer. I Googled volunteering in Broward County and found HandsOn Broward. It’s been a joy ever since,” Petrina said. 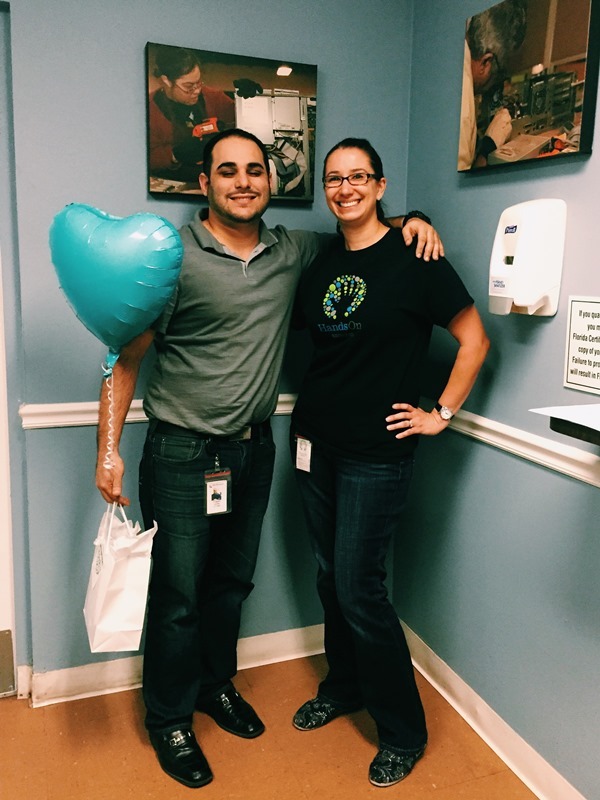 Petrina has volunteered with a variety of organizations through HandsOn Broward, including Jubilee Center of South Broward, Broward Outreach Center, LifeNet4Families, and more. The volunteer opportunities she is most drawn to are those that help the hungry and homeless. It is obvious when speaking with Petrina how genuine she is when it comes to service. She is passionate about helping others and making our community a better place. 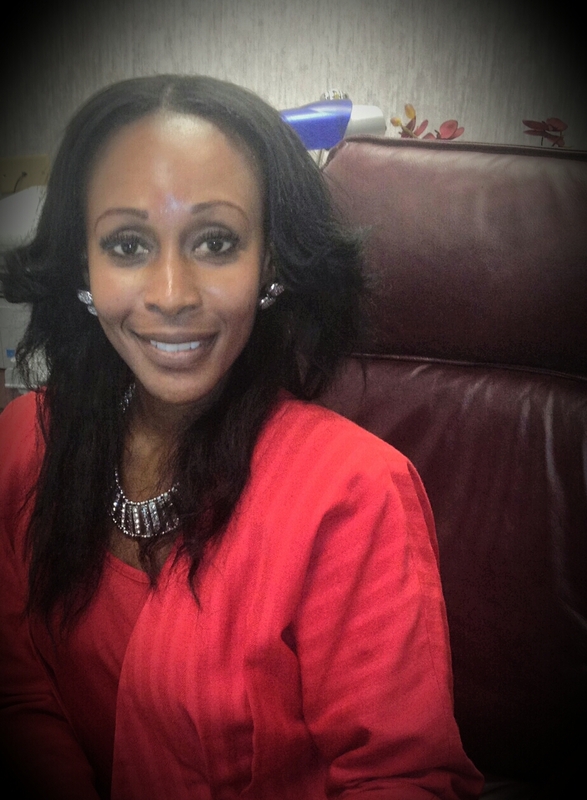 “Giving back to the community is a joy for me. It motivates me, I love the interactions from the clients and they teach me so much. This populace has so much to offer. I learn from them and I’m inspired by their stories. It helps me to grow and develop on my personal journey to give a little back,” she said. Thank you, Petrina, for your passion and dedication! We hope other volunteers are inspired by the impact she has had on our community. Help HandsOn Broward Win $15,000! VOTE FOR ‪#‎TeamHOB‬! HandsOn Broward is participating in the Community Aces Challenge – a Facebook voting challenge sponsored by Isle of Capri Casinos that gives charities a chance to win a share of $50,000. You can vote once daily until voting closes on March 20. Winners will be announced the week of April 6 – National Volunteer Week! Visit www.communityaceschallenge.com and search for HandsOn Broward! Voters must be logged in to Facebook to vote.